If you're looking for lots of gay activities, try to avoid coming in December and January; the only good activities that take place during those months are the New Year's Eve parties. March and April are the best months to visit if you like to avoid the hot summers in Syria. Check for Ramadan before you come, it is always a slow month. The beach would be a nice place to start. You could always check in Safwan Hotel, the most famous gay friendly hotel in the region. Always remember; Parks are good to start your cruising experience in Syria, wherever you are; in any city. The Wall was built in the Roman era with large, tapered stones. It was oblong in shape, designed in the manner of Roman military camps, cities, and fortifications. There are seven gates in it: Bab Sharqi, Bab al-Jabieh, Bab Keissan, Bab al-Saghir, Bab Tuma, Bab al-Jeniq, and Bab al-Faradiss. 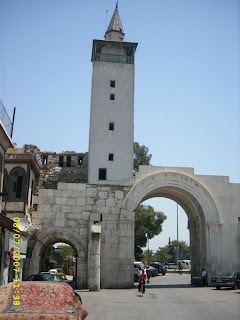 The main thoroughfare traversed the city from Bab al-Jabieh to Bab Sharqi; on both sides there were Corinthian columns, and across it numerous triumphal arches. This great Mosque stands at the heart of the Old City at the end of Souq al-Hamidiyeh.It was built by the Omayyad Caliph al-Walid ibn Abdul Malek in 705 A.D. when Damascus was the capital of the Arab Islamic Empire. When al-Walid decided to erect an impressive mosque suited to the grandeur of the Arab state 'whose like was never built before, nor will ever be built after' as he is reported to have said, he negotiated with the Christian community of Damascus, and undertook to construct a new church for them (St.John's) and allot several pieces of land for other churches, if they relinquished their right to their part of the Mosque.They agreed.It took ten years and eleven million gold dinars, as well as a huge number of masons, artists, builders, carpenters, marble-layers, and painters to complete.It became an architectural model for hundreds of mosques throughout the Islamic world. This also stands at the heart of the Old City, on the southern side of the Omayyad Mosque, and very close to it.It is an astonishing example of a Damascene house, where the simple, almost primitive, exterior contrasts rather sharply with the beauty and sophistication of the interior.Here one finds a sense of space, a wealth of polychrome stone, splendid marble, cascading fountains, and fragrant flowers.The palace was built in the mid-eighteenth century for the Governor of Damascus. The only fortress in Syria built on the same level as the city, it does not top a hill or a mountain like all other castles and citadels.It was erected by the Seljuks in 1078 A.D. with masonry taken from the city wall, and turned into a heavily-fortified citadel surrounded by walls, towers, a moat and trenches.Inside, they built houses, baths, mosques, and schools; it was a city within a city.At the height of Crusader raids and attacks, it was used as residence for the Sultans of Egypt and Syria such as Nureddin, Saladin, and al-Malek al-Abdel, whence they supervised military operations against the Crusaders. Follows a straight line from the west (where Bab al-Nasr used to be) to the Omayyad Mosque.It dates back to 1863, to the rule of the Ottoman Sultan Abdul-Hamid, after whom the souq was called.It is covered with high iron vaulting, so old that sun rays filter through it into the darkness of the souq.The shops here sell everything from tissues to leather-work, from sweets and ice-cream to exquisite handmade brocades, mosaic, and copper inlaid with silver. 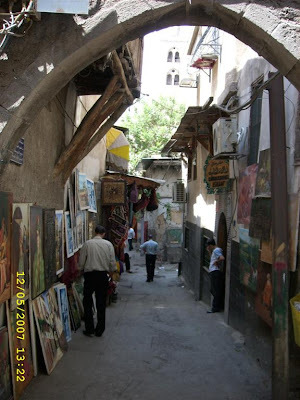 (The Long Souq): Founded by the governor of Damascus Midhat Pasha in 1878.It stands above the Roman 'Street Called Straight' which used to traverse the city from Bab al-Jabieh to Bab Sharqi, and runs parallel to souq al-Hamidiyeh, with numerous side-souqs separating them. Founded by Darwish Pasha in 1574.Its entrance is at the end of souq al-Hamidiyeh just outside the Omayyad Mosque.Its shops are filled with local embroidered cloths, perfume essence, and tailoring and sewing requisites.Here, too, a number of old khans have been converted into shops, best known for their cloaks, capes, mantles, shawls, and 'galabiyas'. Extends between Souq Midhat Pasha and the Omayyad Mosque and is famous for its quaint little fruit, medicinal herbs, and confectionery. In the middle of this souq stands a bath (one of the two hundred public baths) which has been in continuous use from the twelfth century. Aleppo is the second capital of Syria (360 km north of Damascus), and one of the oldest continuously inhabited cities in history. Abraham is said to have camped on the acropolis which, long before his time, served as the foundation of a fortress (where the Aleppo citadel is standing now). He milked his grey cow there, hence Aleppo's name:'Halab al-Shahba'. Ever since the 3rd millennium B.C., Aleppo has been a flourishing city, with a unique strategic position. This position gave the city a distinctive role from the days of the Akkadian and Amorite kingdoms until modern times. It was the meeting-point of several important commercial roads in the north. This enabled Aleppo to be the link in trade between Mesopotamia, the Fertile Crescent and Egypt. The Amorites made it their capital in the 18th century B.C. 50 m above the city, a ring of crenellated walls and towers rises from a steep glacis, encircling a mass of ruins from every period. It has always been extremely important, both strategically and militarily. 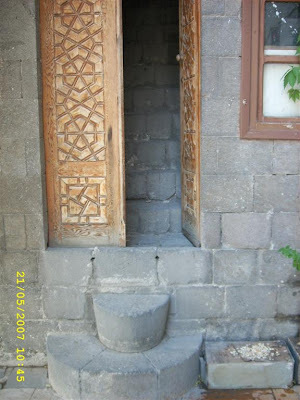 It was built in the days of Sayf al-Dawla al-Hamadani, on the remains of earlier civilizations. The citadel's fortified entrance is a marvelous example of Arab militarily architecture. In terms of spaciousness and originality, the covered souqs of Aleppo, which extend for more than 10 km, are the most striking in any Islamic city. The souqs are named after various crafts: hence, we find the souq of gold, the souq of copper, cotton, etc. Traditionally, there is always a fountain in the centre and sometimes a little garden planted with jasmine and roses. Most of these souqs date back to the 15th century. They are living museums which depict mediaeval life. The khans (caravanserai) are in the same area as the souqs, since they were used for the accommodation of traders and their goods. These khans are characterised by their beautiful facades and entrances, their high arches and fortified wooden doors. Some of these khans are:Jumruk (Customs), Wazir (Minister) and Saboun (Soap). -The National Museum; this includes in particular documents and relics from Ebla and Mari. -Museum of Popular Arts and Traditions. 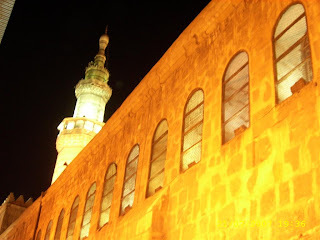 -al-Jami' al-Kabir (The Great Mosque), similar to the Omayyad mosque in Damascus. -Old schools, churches, mosques, baths and ancient houses, some dating back to the 15th century, like the al-Bunduqiah (Venetian) Consulate, which contains superb ornaments and antiquities. 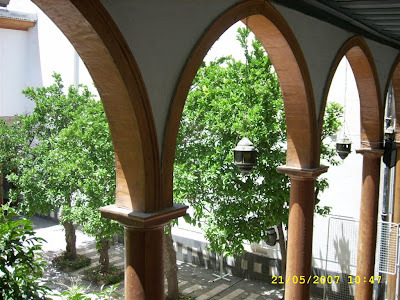 Rasafeh palace was the residence of Hisham ibn Abdul Malik, the third Omayyad Caliph, whose age was a golden one, due to his great interest in the arts and in architecture. He had several palaces built in various parts of Syria. He was in favor of simplicity and modesty; this is why he chose Rasafeh as his residence. There, he died and was buried. The palace was originally a church, built to commemorate a Roman officer (St.Sergius), who died in defense of Christianity in the 4th century. In 616, the church was invaded by the Persians, robbed and destroyed. When Hisham ibn Abdul Malik became a caliph in the 8th century, he built two beautiful palaces on its site. Later, the Abbassids invaded and destroyed what the Caliph Hisham had built. Very little of the ruins of the Mar Sarkis church remain. Parts of the church have been used as a mosque; inscriptions in both Arabic and Greek, engraved on the walls, indicate that the Christians and the Muslims co-existed peacefully in Syria from the 13th century onwards. Homs is the 3rd most important city in Syria.It lies 160 km to the north of Damascus. Like Petra and Palmyra, Homs was an Arab emirate in the 2nd century B.C. It was also the 3rd station on the 'Silk route' after Doura Europos and Palmyra. It still retains this position of importance today, as the oil pipelines pass through the city. This historical city produced many impressive personalities. Bassianos (an emir of Homs), through his daughter's marriage to the Roman emperor, Septimium Severus, who ruled Rome from 193 to 211, sired three rulers, Caracalla, Heliogabalus and AlexanderSeverus.The city was the birthplace of the famous Syrian philosopher, Longenius, counselor to Queen Zenobia, and of the famous physician, Marlian. Among the most significant historic constructions remaining in Homs is the mosque of Khaled Ibn al-Walid, the great commander of the Muslim Arab armies. Two very tall white-stone minarets lend lightness to the imposing structure. The slender colonnade in black and white stone horizontal rows is representative of traditional Syrian architecture. Palmyra is in the heart of the Syrian desert, and is often described as 'the bride of the desert'. Its magnificent remains tell of a heroic history during the reign of Queen Zenobia. The 'oasis' as it sometimes called, is located near a hot-water spring called Afqa. It was mentioned in one of the Assyrian tablets of the 20th century B.C. It was also mentioned in the tablets of Mari. Palmyra was an ideal halt for the caravans moving between Iraq and al-Sham (present-day Syria, Lebanon, and Jordan), trading in silk from China to the Mediterranean. Palmyra lies 210 km northeast of Damascus and 155 km east of Homs. A tour among the ruins, which cover an area of 6 sq. km, requires a full day in order to form an adequate idea of the beauty of the architectures which has remained. Worth visiting are the Baal temple, the Arch of Triumph, the amphitheatre, the baths, the 'Straight Street', the Congress Council and the Cemeteries. 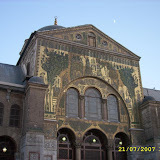 Damascus is believed to be the oldest continuously inhabited city in the world. It’s a beautiful city, with a lot to see. 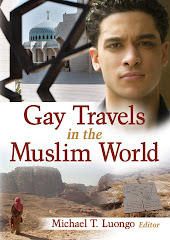 Personally, I keep wonder when did the first gay sexual experience take place in Damascus, & where. 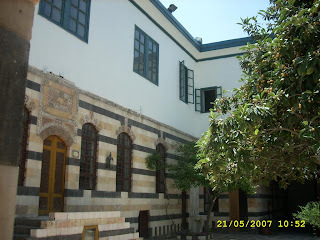 There are four hammams in Damascus where you could play safely, but please always be careful. Let’s start with what you are doing right now; you’re reading! Syria is known to be the home of the first known alphabetical system, at least that’s what I have learned from many different sources. It’s also the home of the oldest written musical note in history. Ugarit, near Lattakia, is where the musical note and the alphabet were discovered, with many poetic & literary inscriptions. Lattakia itself has great ruins to enjoy; Phoenician, Roman, & Byzantines. Tartus is a wonderful city on the Mediterranean; with the nicest people. In Tartus, as a whole province with its capital, Tartus, & the towns & villages, you will have a great time between the beauty of the mountains & the only Syrian island; Arwad. In Tartus, you would be able to see the diversity of the Syrian people in a very small province; Religions & sects meet in Tartus. 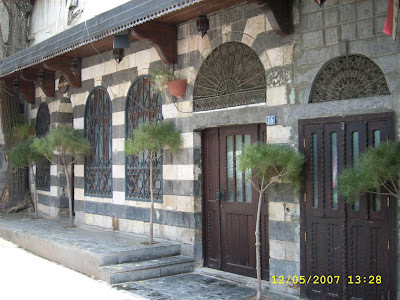 Going back to history, Damascus is the second oldest continuously inhabited cities in the world. It is the oldest continuously inhabited capital in the world; 16-15 BC inscriptions confirmed that Damascus was at that time the capital of a city state. There’s also Ebla, south of Aleppo, the city that had a flourishing civilization in the 3rd millennium BC. Palmyra in the Syrian Desert, Tadmur in Arabic or Tadmor in the Bible, was built according to the Bible in 1100 BC. It was a very prosperous city between the 1st century BC & the 3rd century AD because of its strategic location on the ancient trade routes between Egypt and the Persian Gulf. Bosra, in the Syrian Desert as well, is a World Heritage site. It has a great Roman amphitheatre which hosts an annual cultural festival at the end of the summer. Those are only a few examples; writing about Syria’s importance in history will take ages & needs volumes of books. As a Syrian & as a gay man, I always have hope that Syria will have the government it deserves, a democratic government & be again a free country. 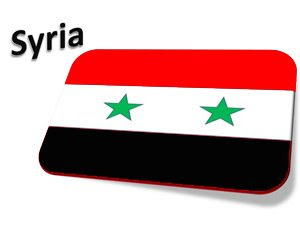 My final word in this quick introduction to Syria is: Syria has it all, the sea, the mountains, the desert, the rivers, the history, & of course ME. Syria was the set of many gay love stories in old Arabic literature. Modern Syrian writers have written great stories with explicit sexual content. Though most Syrians now feel that homosexuality & sexuality are taboos, I felt that many straight men are curious to talk about sexuality, but they are afraid how may that make them look in the eyes of religion & the rest of society. For most Gay Arabs, Syria is considered to be a gay paradise; handsome hot guys everywhere, & many many gay men. That’s somewhat true, but we still have the weirdest closeted cases as well. In Syria we have all the “common Gay Arabs problems.” Nevertheless, it’s better than most Arab countries. Lesser police interferences are taking place now, but the danger of being exposed to society as homosexual is still very high. My personal experiences & my friends’ have allowed me to be able to say that we have the highest number of “bisexuals” & “curious men” in the region. In some cases where some gay men were exposed to some straight men, those straight men did not feel like “trashing” them out, they just preferred not to talk about it. That’s a great improvement in the straight man mentality. We just hope many of them transform to more open people. There have been many attempts to talk about homosexuality in the Media, but as gay people we still feel it’s dangerous for us to “highlight” the gay man’s “characteristics”; people are just not ready yet. Arabs do not like sudden changes in society. Talking about homosexuals rights still seems to many Arabs a conspiracy against religions; both Christianity & Islam. Most Arabs think that their attachment to religion is what makes them stronger & unique. The suppressive regimes in the Arab World tend to grant their people the right of defending their traditional values, which is the only right they are willing to give anyway. At the end, I feel that I have to mention Lebanon’s best attempts to contribute to the Arab gay community. LEBTOUR & HELEM have been working on great issues, supplying consultation & dream events for Arabs. I have added a hyperlink to each one; you could look them up if you like. Having talked about homosexuality in the Middle East & Syria, I can now add a few blogs as a guide to gay life in Syria. One is already added about Aleppo, more about other cities are soon to come. Have a gay day. Mazaj by Mido is licensed under a Creative Commons Attribution-Noncommercial-Share Alike 2.5 Canada License. Based on a work at mazaj75.blogspot.com.